What’s Special about the Insult of Paternalism? A common assumption is that paternalism generates a special, and especially grievous, insult. Identifying this distinctive insult is then presented as the key to unlocking the concept and determining its moral significance. I submit that there is no special insult. It is, rather, a particular form that a lack of recognition respect can take. Attempting to capture the special insult has led us into confusion. In particular, it has led theorists to abandon the idea that paternalists must act for the sake of the individual whose agency they supplant, and even the notion that paternalistic action requires a distinctive motivation at all. 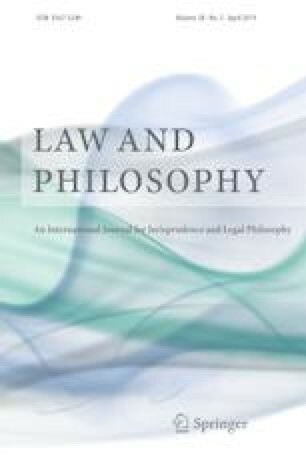 I argue that paternalistic actions must come from a place of care and concern for the paternalised agent and show that this explains the moral significance of paternalism since it tempers the general insult that such actions deliver and provides a partial defence when paternalism is misguided.